A new treatment appears to be more aggressive than the cancer it treats. 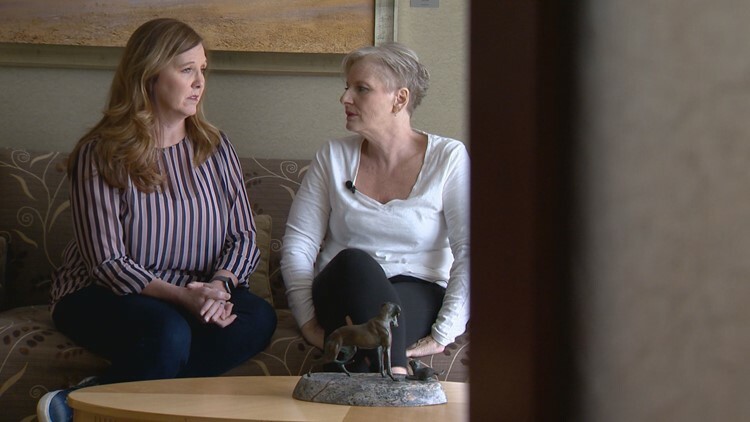 AURORA, Colo. — Penni Shuey knows that she can rely on her sister Shannon Waigand, especially when times get tough. Shuey was diagnosed with acute myeloid leukemia (AML) - an aggressive type of cancer that can affect every organ of the body. It's traditionally treated with high-intensity chemotherapy. 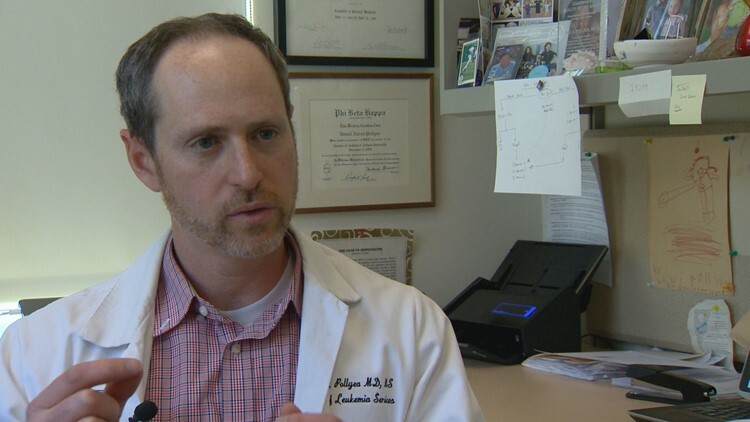 Dan Pollyea, an oncologist working with the CU Cancer Center and UCHealth, hopes to offer Shuey an option — an FDA approved clinical trial of a new treatment that targets leukemia stem cells. Pollyea said the treatment is a combination of two therapies. One is a pill and the other is a low-dose, low intensity chemotherapy regimen. “When we combine these two regimens, just this pill and the low intensity chemo, we found that we can get most of our patients into a response of remission, that these remissions can last a very long time and that this is very well tolerated,” said Pollyea. “Ninety-one percent of our patients ended up having the responses." Shuey can now take advantage of spending more time surrounded by the ones she loves. “It was very grave, so to be able to have this time, to be able to say what we want to say and laugh has been amazing,” Waigand said. “When you have anybody in your corner sitting there praying for you, that means all the world to you,” Shuey said.